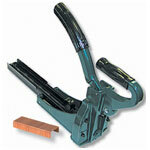 The Bostitch P6C-8P plier stapler has many applications including sealing bags and mailers. This model of the Bostitch P6C-8 has a pointed anvil. 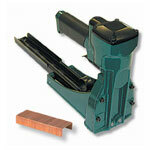 This stapler is commonly found in shipping rooms becuase of its general utility. The staple used is a heavier guage STCR 5019 staple. 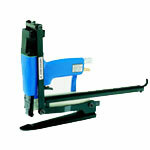 Many users prefer the Bostitch P6C-8 stapling plier series because of the ergonomic ease of use. 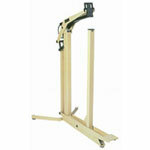 Also avaliable with a pointed anvil. 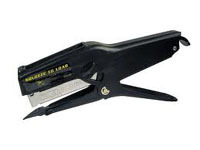 Bostitch has a long history of success with this plier stapler.